The playoffs are here! 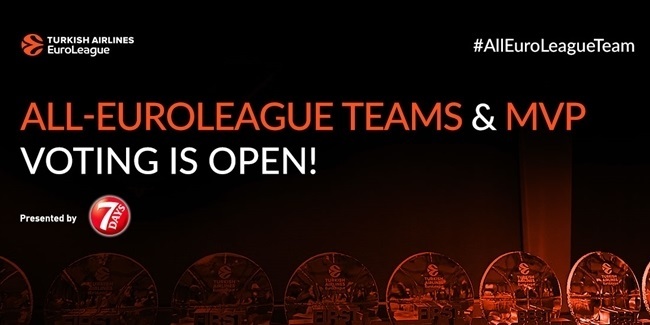 The last eight teams standing in the Turkish Airlines EuroLeague will resume action this week with the regular season's top four aiming to make their home-court advantage count in Games 1 and 2 of the best-of-five series. Let's look at what we can expect. It's well-known that home-court advantage is a major advantage in the playoffs with roughly three teams out of four this century making the most of the extra game on their home floors to advance to the Final Four – amply explaining why teams are so desperate to secure a top-four finish at the end of the regular season. 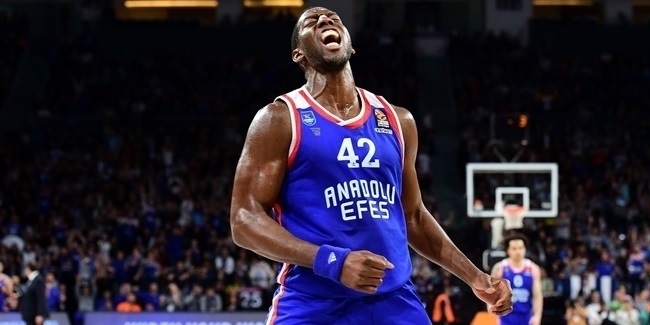 However, this season's 'home four' – Fenerbahce Beko Istanbul, CSKA Moscow, Real Madrid and Anadolu Efes Istanbul – shouldn't sit too comfortably just yet because that stat also tells us that, according to historical averages, one of them will lose its impending series. In recent years those stats have held true with home-court advantage regularly being overturned. 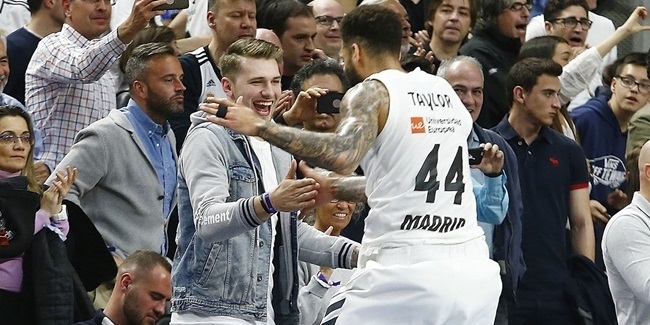 Last season, in fact, it happened twice: Madrid recovered from a Game 1 battering at Panathinaikos OPAP Athens to win the next three games, while Zalgiris Kaunas took the first game at Olympiacos Piraeus en route to a 3-1 triumph. Two years ago the victim was Panathinaikos again, defeated in a sweep by Fenerbahce. Unusually, all four home teams won in 2015-16, but the previous year saw Olympiacos overcome FC Barcelona, while in 2014 Maccabi Tel Aviv won Game 1 in Milan on the way to the title. History tells us, then, that home-court advantage counts for a lot. But also that it doesn't count for everything. The first tip-off in this season's playoffs will take place in Moscow with perennial title contenders CSKA going into battle against Final Four host KIROLBET Baskonia Vitoria-Gasteiz on Tuesday. For Baskonia, the delight at qualifying for the playoffs must have been somewhat tempered by the knowledge that its opponent is CSKA, which not only beat the Spanish side 3-0 in a playoffs series two years ago but also defeated Baskonia as recently as 10 days ago in the final round of the regular season. In fact, that result maintained a remarkable record of dominance which has seen Baskonia lose every single visit to CSKA's home floor in the last 15 years – a total of 16 consecutive wins for CSKA. And the sense of "Oh no, not them again" will only have been heightened by their most recent meeting in Round 30, when CSKA trailed by double digits in the final quarter and had nothing to play for but still ended up victorious. Nobody knows how difficult it is to win in Moscow than Baskonia, and the weight of history will be weighing upon the Spanish side's shoulders this week. Tuesday and Thursday night in Istanbul will present two fascinating showdowns on the sidelines as the most successful coach in European basketball history goes up against one of his young apprentices who, so far, looks set for a similarly outstanding coaching career. Zeljko Obradovic's triumphs over the last couple of decades have been unrivaled and the Fenerbahce coach is aiming for his 10th EuroLeague title over the next few weeks. One of those triumphs, with Panathinaikos in 2009, was secured with the considerable assistance of backcourt star Sarunas Jasikevicius, who is now hoping to lead Zalgiris Kaunas into the Final Four for the second consecutive season. No team is entering the playoffs in better form than Zalgiris, which remarkably won its last six games to surge into this stage against all expectations. Fenerbahce, in contrast, has been able to take its foot off the gas and cruise through the final weeks of the season after becoming the earliest-ever qualifier for the playoffs on the way to topping the regular season standings. One of the teams is rested and fresh; the other has been going full throttle for weeks. One of them has the home-court advantage; the other has momentum. One of them has ZOC; the other has Saras. Who will prevail? Will Barca find form on the road? According to most fans and pundits, the meeting between Anadolu Efes Istanbul and FC Barcelona Lassa (starting on Wednesday and continuing on Friday) is the toughest of the four series to call. Efes was without a doubt the surprise of the campaign, rising up from last season's last-place finish to secure home-court advantage with a 20-10 record – two wins more than the Barcelona squad, which has become rejuvenated under battle-hardened Coach Svetislav Pesic following a couple of barren years. However, the expectation that Barcelona will make this a close series depends upon the Spanish side making a dramatic improvement to its form on the road, which has been anything but impressive this season. Barca was 6-9 away from home in the regular season and suffered a 92-70 stuffing at Efes in Round 25 – hardly the numbers to suggest that Efes's home-court advantage will be overturned. For Barcelona to stand a chance this week, it has to slow down an Efes offense which has been outstanding at home, surpassing 90 points on seven occasions this season. Coach Pesic is renowned for his defensive focus and that will have to come to the fore again now. Perhaps the most eagerly anticipated series will be the last one to begin with reigning champ Real Madrid and Panathinaikos going head to head at 9.15pm CET on Wednesday night. Panathinaikos roared into the playoffs by winning seven of its last eight games, with the sole exception coming at home to none other than Madrid in Round 29 when Rudy Fernandez struck a miraculous game-winning triple on the final buzzer. A big difference from that game, however, is that the Spanish champ's backcourt general Sergio Llull has since been ruled out with a hamstring injury, forcing Madrid to go into battle without its inspirational leader. The burden of replacing him will fall to Facundo Campazzo and Klemen Prepelic, who could hardly face a more daunting task as they go up against a strong contender for the season's MVP award, Nick Calathes. The Panathinaikos point man registered a triple-double – the first EuroLeague player to do so in 12 years – in his team's Round 30 victory over Buducnost VOLI Podgorica and Madrid must be fearful that the absence of Llull will give the Greens a major advantage.